Psychiatry - Depression Specialist Bellaire, TX- Houston Deep TMS Therapy & Ketamine | Sandhya Prashad, M.D. "She has a ketamine clinic...very successful in curing treatment-resistant depression"
"Dr. Prashad has made my life so much better! She spends time with her patients..."
"She is kind, understanding, makes you feel comfortable, and very professional." "She's fabulous. Really committed to making you better." "Dr. Prashad is always looking out for her patients' best interests." 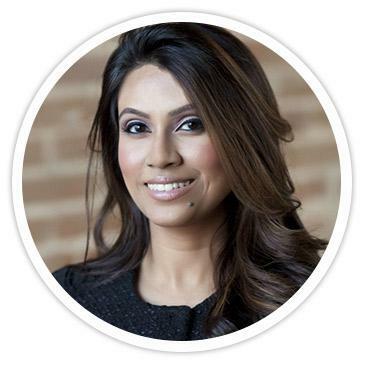 Houston Deep TMS Therapy is a psychiatric practice led by Sandhya Prashad, MD, who specializes in treating patients who are struggling with mood disorders, such as depression and bipolar disorder, anxiety disorders, and women’s reproductive psychiatry. With the office located in Bellaire, Texas, the practice serves the entire Houston region, offering medication management, psychotherapy, and innovative therapies. With a special interest in treatment-resistant disorders, the team at Houston Deep TMS Therapy works closely with each patient, taking the time to understand their overall health and well-being so they can develop a truly customized treatment plan. At Houston Deep TMS Therapy, patients have access to two exceptional and cutting-edge treatments: ketamine infusions and deep transcranial magnetic stimulation (dTMS). These treatments effectively treat depression, mood disorders, anxiety, and PTSD. Ketamine infusions and dTMS are especially effective for treatment of refractory depression. Under the personal direction of Dr. Prashad, ketamine infusions produce an 83% success rate, with no side effects between depressive episodes. Patients often find that their depression lifts in as little as one hour. Patients needing medication management may benefit from the genetic testing offered at Houston Deep TMS Therapy. A genetic evaluation that shows a patient’s metabolic response to medication allows for truly personalized treatment without trial and error. New patients are welcome at Houston Deep TMS Therapy, whether they’re local or from out of town. The team helps make lodging and transportation arrangement for patients traveling into Houston to receive ketamine infusions. To learn more about their comprehensive services, call the office or book a consultation online. Our goal is to provide the services needed in order to maximize the success of ketamine infusions. We have developed a process to ensure you not only fit the profile for ketamine but are positioned from the start for success. Most major insurances accepted for TMS. Please call for additional information on coverage for a particular service. "I struggled with depression for as long as I can remember and after about 2 weeks, I felt a dramatic change. Dr. Prashad really customizes the plan." "I'd like to say that this treatment is highly effective and the techniques and modalities used by Dr. Prashad are very beneficial...this is a great choice." "...ketamine therapy has changed my life. I'm now able to make positive and empowered decisions. Dr. Prashad is warm, caring...makes you feel instantly at ease."